← Have I Told You Lately That I Love You? Phew. This was certainly a crazy weekend! One of the best ones we have had in a while, but it was definitely busy. We have had a few relaxing Saturdays and Sundays recently so it was nice to get out and hang out with friends and family. 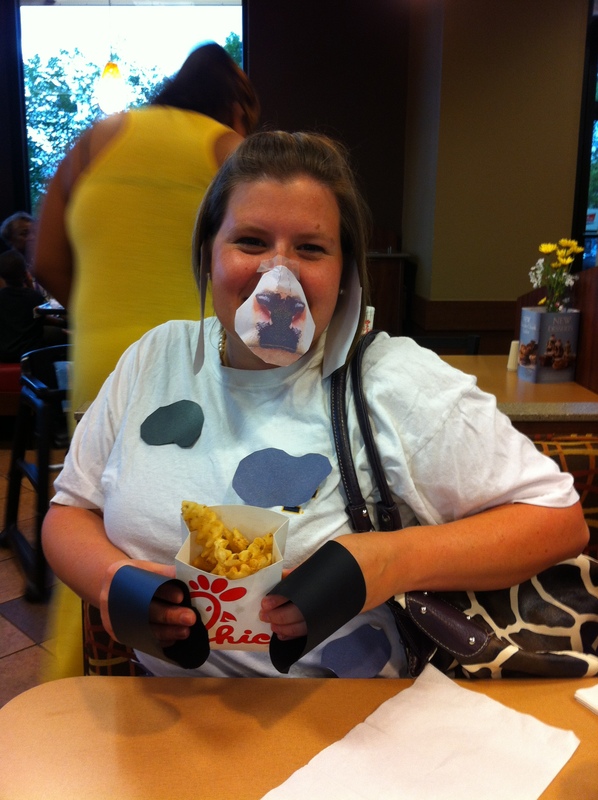 We started the weekend with one of our favorite days of the year: Cow Appreciation Day at Chick-Fil-A. 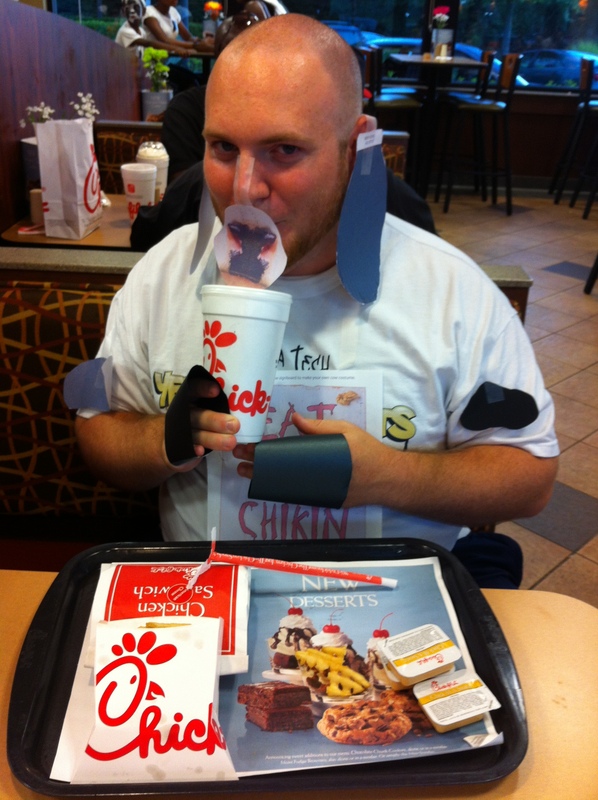 As usual, we got decked out in cow gear and got a free dinner! Mandy even made us little hooves this year! Bragging point: the people behind the counter were showing us off as the examples of a good cow costume. 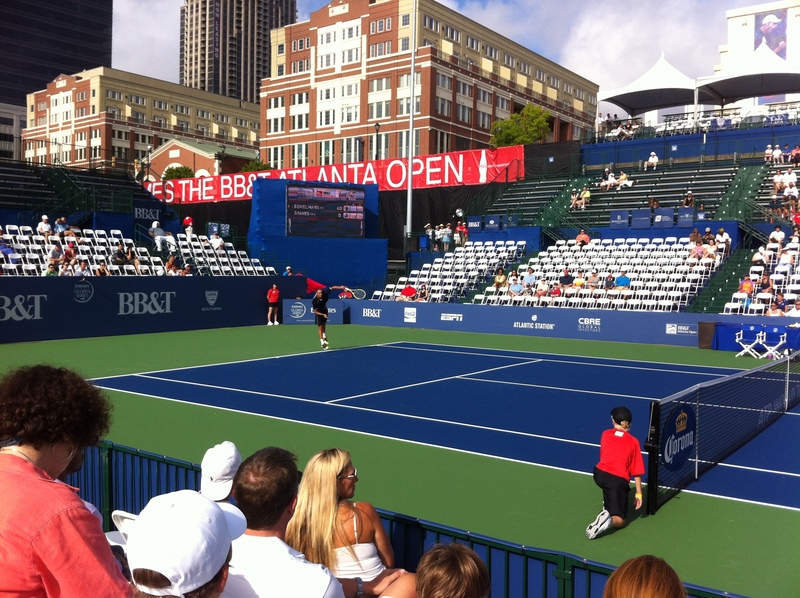 For Father’s Day this year, I got my Dad tickets to the qualifying round of the BB&T Atlanta Open at Atlantic Station. We got up bright and early Saturday and got to enjoy a couple of really good matches. Mandy even met us for lunch to try out the new Yard House! Our seats were great and except for the oppressive heat, it was a fantastic day. While we were at the tournament, Mandy took one more step towards her 101 in 1001 goal by volunteering at the Atlanta Botanical Gardens. This was part of her Junior League membership and she luckily got paired with the crafting section of the Botanical Gardens. 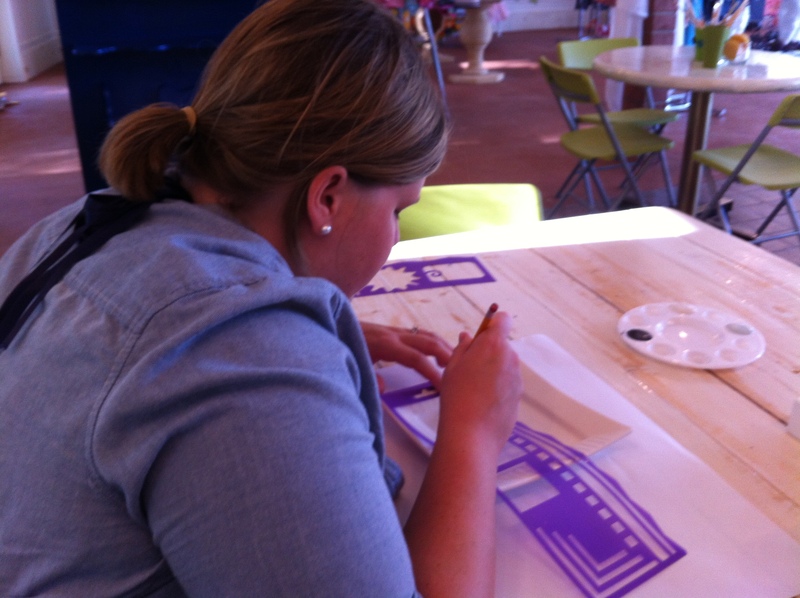 She painted hands and helped kids make some really cool arts and crafts…sounds like a perfect Mando morning to me! 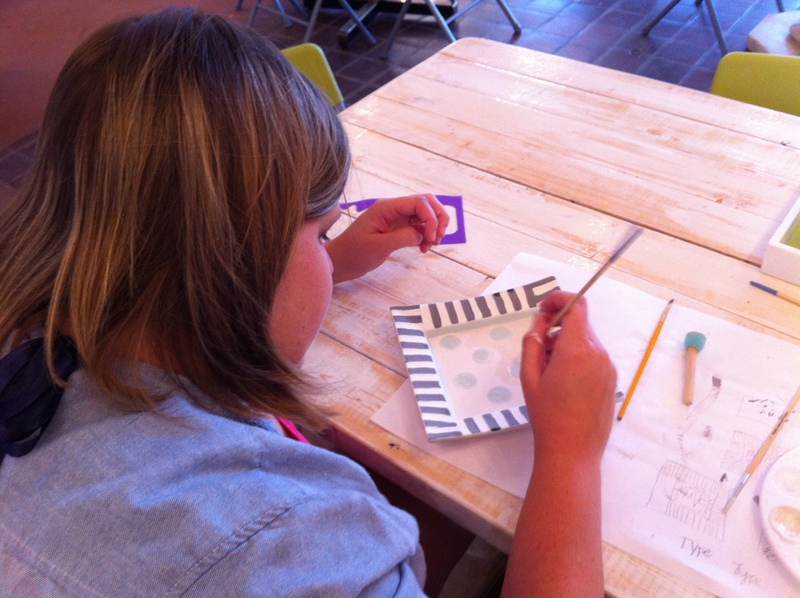 That evening Mandy and I went on a nice little date to paint pottery. We had driven past this place a couple of times, but had never been in so we were very excited. The shop turned out to be awesome! Not only was the painting fun, but she took us downstairs where they have a party area for rent. It was a nice, big open space with these really cool sliding barn doors and video games everywhere. I want to have an event now just so I can rent that space out! 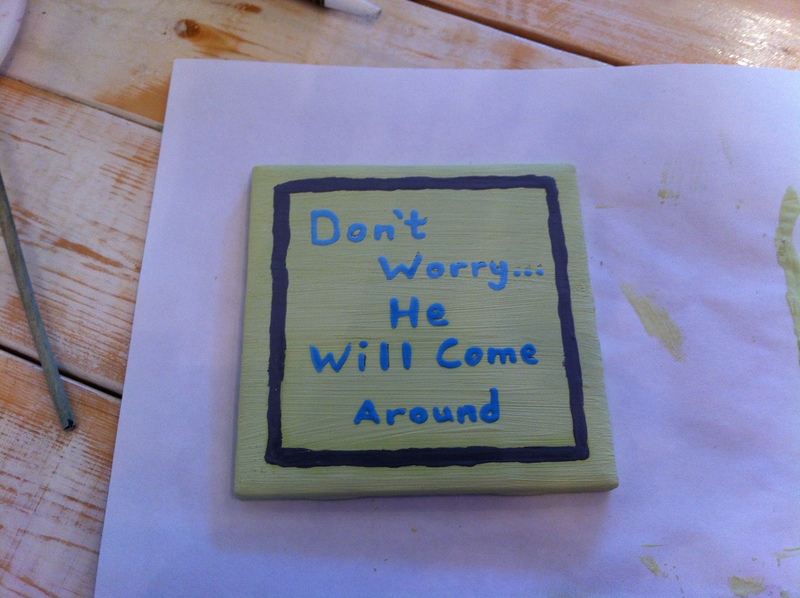 I painted one of my favorite quotes and Mandy painted a really nice plate. To top it all off, Sunday was a day filled with sun and fun with friends and family. We went to church and then to brunch with our Small Group to celebrate Matt’s birthday. We went to J Christopher’s for the first time and it was delicious! 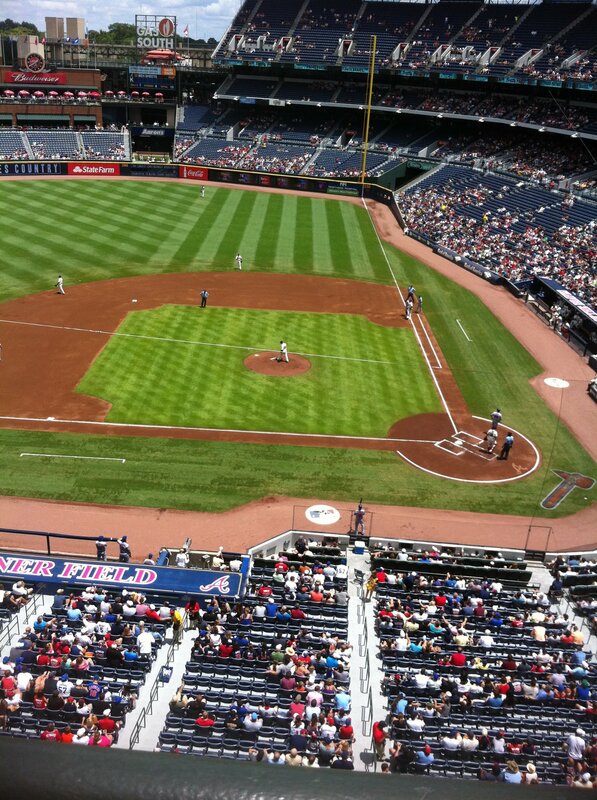 After that I met some friends for a Braves game and we beat the Mets. Not much else to say there – that’s about as perfect of a Braves game as there can be. We ended the weekend with a trip up to Kennesaw to hang out with my family and my sister’s boyfriends’ family. We had some delicious kebabs and some fun pool time. 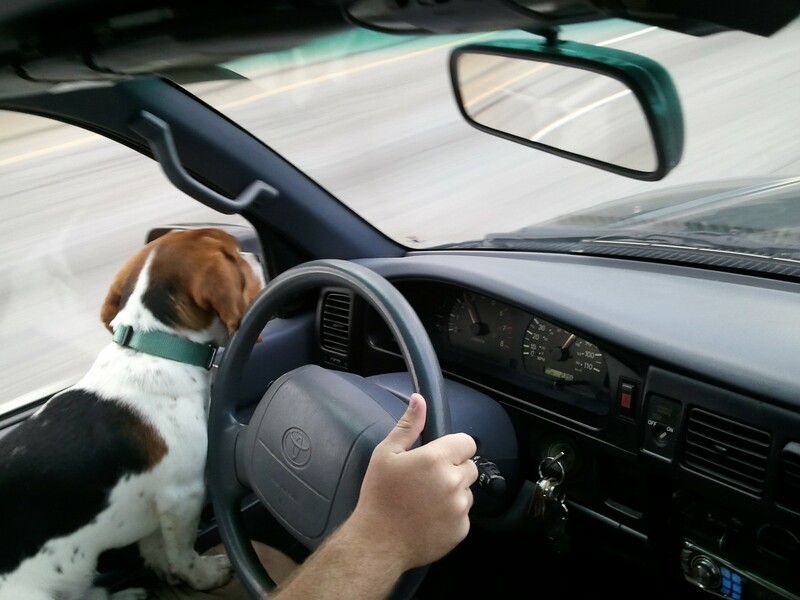 On the way back, Brinkley took up his new favorite spot in the car – propped up in front of the air vent with the AC blasting on his face. Now I’m sure that he is my dog.